UMW purpose: To be a community of women whose PURPOSE is to know God and to experience freedom as whole persons through Jesus Christ, to develop a creative, supportive fellowship, and to expand concepts of mission through participation in the global ministries of the church. The Unit - the full body – meets together three times a year. Individual circles and interest groups meet as decided upon within the group. For more info, email Georgia Nolph, UMW president, at nolphkg@gmail.com. These UMW small groups focus more on hands-on mission projects. When they gather they keep their hands busy and their minds busy planning the next project. Some groups knit or quilt, some gather supplies for mission and some sew for the church. All these groups try to find ways to provide for the needs of God’s people with tangible things. Part of our DNA from the original mission societies our foremothers founded is pledging and raising money to carry Christ’s love to disadvantaged women and children. These small UMW groups emphasize supportive fellowship in their time together. This may be expressed in shared devotional time and praying for each other, in conversation over food, in an active, caring ministry, holding each other in sorrow and in celebrating life together. 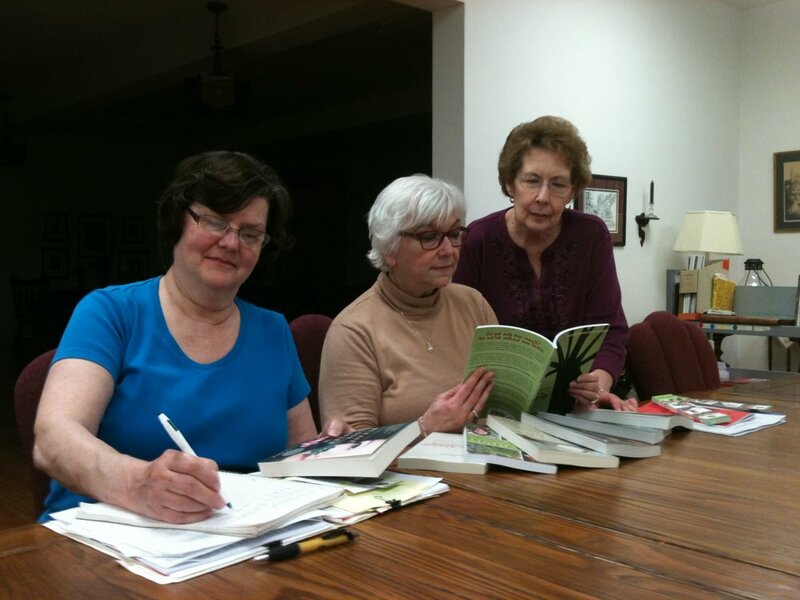 Each group tries to creatively support each other as Christian women. Several of the small groups participate in projects that raise funds for missions. These groups rely on the support and generosity of the church community to meet their mission goals. Several of the UMW small groups focus on educating themselves and others on the needs of women and children and on the efforts to minister to those persons. These groups read, have educational programs, host guest speakers or go on field trips to expand their concepts of mission. Give us a call. We want to get to know you. Sally Marble, Membership Chair, will gladly shepherd you to one or more of our small groups. Diana Revelle, Communications and Newsletter Coordinator, can add you to the newsletter email list. Georgia Nolph, President, will gladly chat with you about UMW involvement. You are could be eligible to receive a MUMW Scholarship. Application available in MUMW mailbox in church office in Blue MUMW Scholarship folder. Deadline for application is June 15th. Scholarship will be awarded no later than August 1st.